Are you looking for a commercial glass replacement? 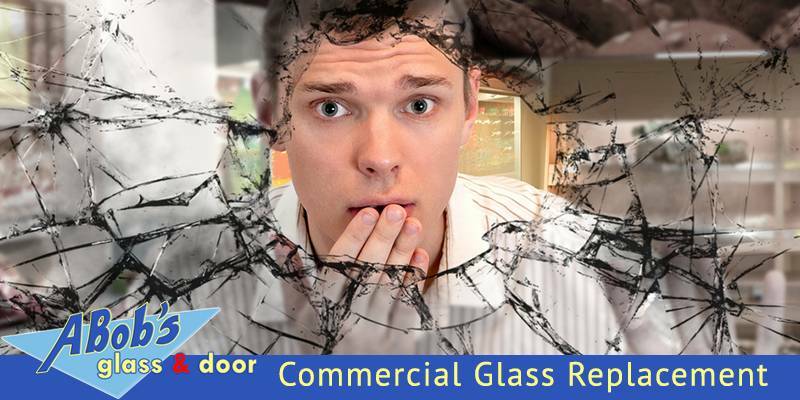 When something gets broken on your commercial window or door, whether it’s the frame or glass, it’s important to get it repaired immediately. Because your customers use most of these doors frequently, you need to get in contact with a professional and experienced glass repair company to effectively replace your commercial glass. ABob’s Glass & Door Repairs Inc. is a glass repair and replacement company which is highly skilled in this type of work. ABob’s Glass & Door Repairs offers 24/7 emergency door and window replacement services in Florida. Our expert glass technicians can help you improve the comfort of your surroundings with modern and efficient glass replacement for doors and windows, patio doors, sliding closet doors, etc. 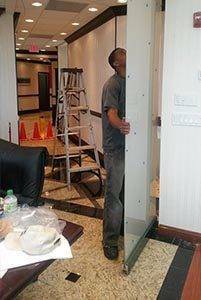 Our technicians are expert in all types of commercial doors, storefront glass replacement, and emergency window repairs. We value our customers. That’s why we use high-quality products and offer the most affordable prices. At ABob’s, our primary goal is always to provide professional, reliable, and prompt services so that your customers and employees are not disturbed. If your business appreciates professional services, loves small details, courtesy, and promptness, then you should partner with us in your next glass repair or replacement project. At ABob’s, our qualified technicians are ready to take on any size of projects that requires glass replacement for windows, doors, interior offices, storefronts, and much more. 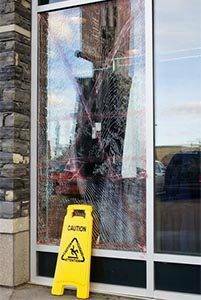 Whether you need to replace a storefront glass, office, restaurant, or any other commercial property, we can help. We work with commercial property owners and businesses to provide them with the best services that they need. We specialize in using our unique approaches to complete the projects. Unlike many other companies, we never use the same solution in our commercial glass replacement services. Instead, we customize our methods to complete the project at hand. Apart from providing various commercial glass replacement services in Florida, we also offer break-in repairs to businesses. We know how financially disastrous it can be to have your commercial building broken into. It can also be bad for your business to have your customers see your commercial property in such a state. That’s why we offer 24-hour emergency glass & door repair and replacement throughout Florida. We will get your business back on track as soon as possible. If your business is vulnerable or exposed due to break-in damages and cannot be quickly fixed, we will board up the damaged until the glass or frame replacement arrive. We offer emergency glass replacement services on call, so you can be rest assured that we are always here for you in case you ever face such a catastrophic situation.